Christmas greetings from India? An interesting ad from the late 50s that recently appeared on eBay. Anyway a Very Merry Christmas to you all! 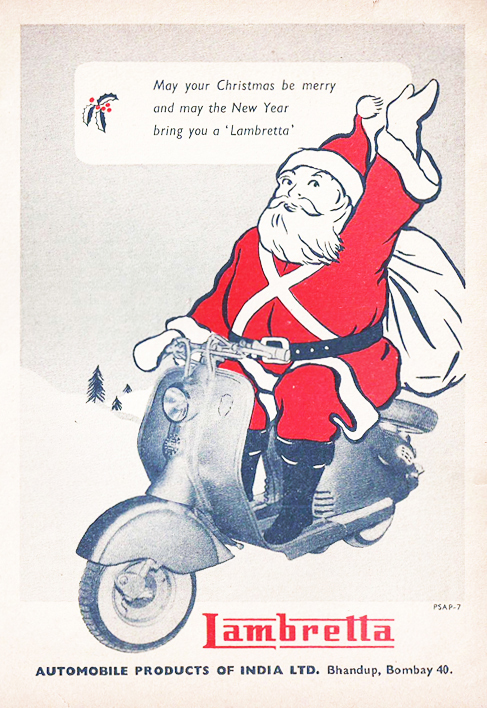 This entry was posted in Advertising, Holiday, Miscellaneous and tagged ad, christmas, india, lambretta, santa claus, scooter by Tracy. Bookmark the permalink.